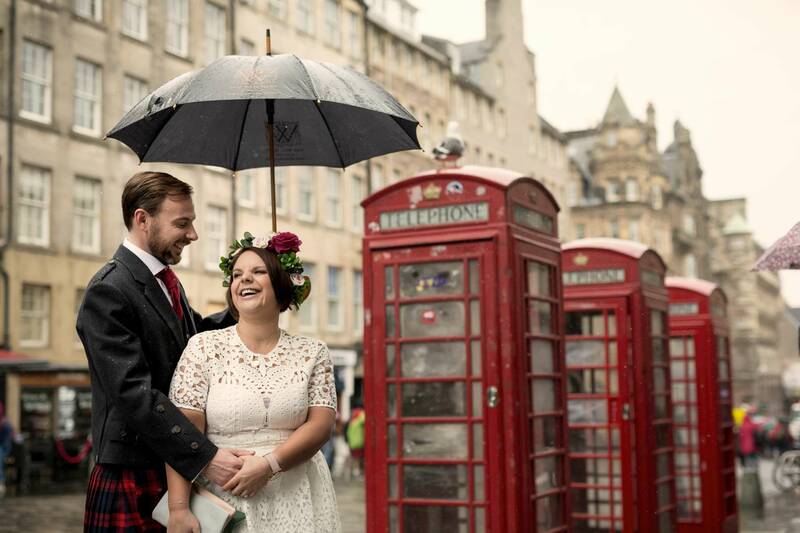 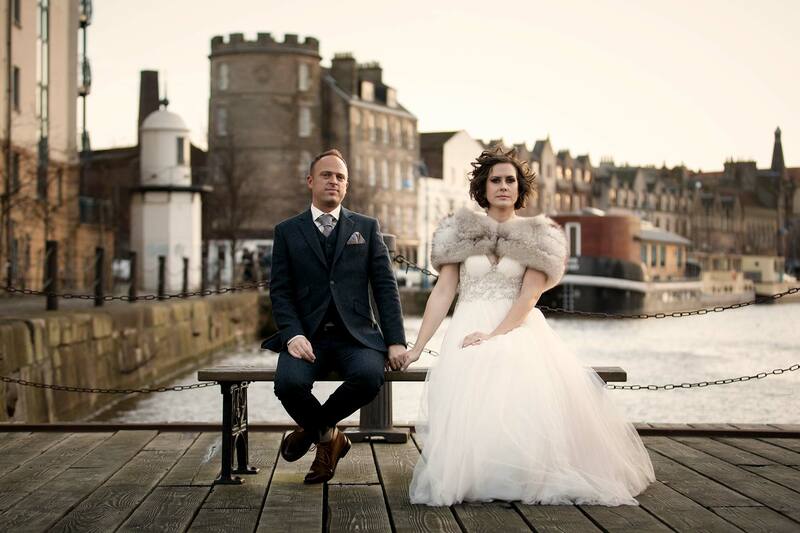 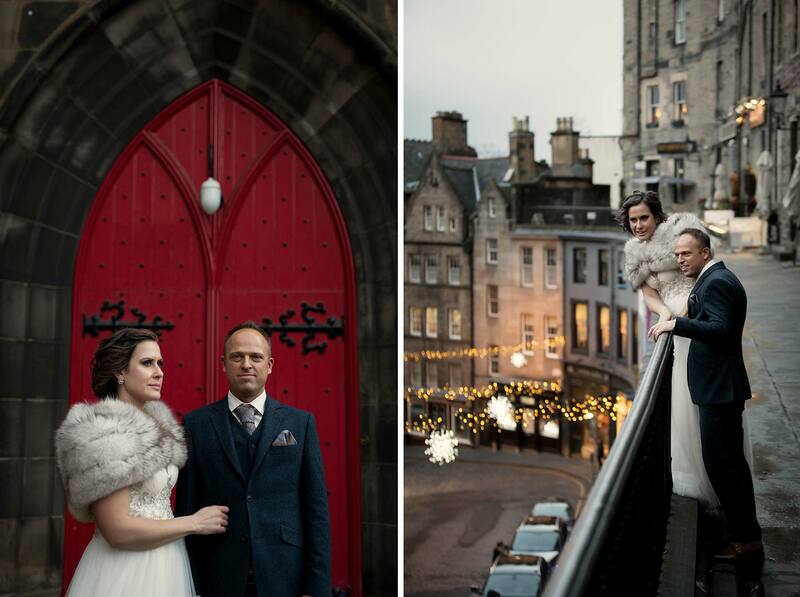 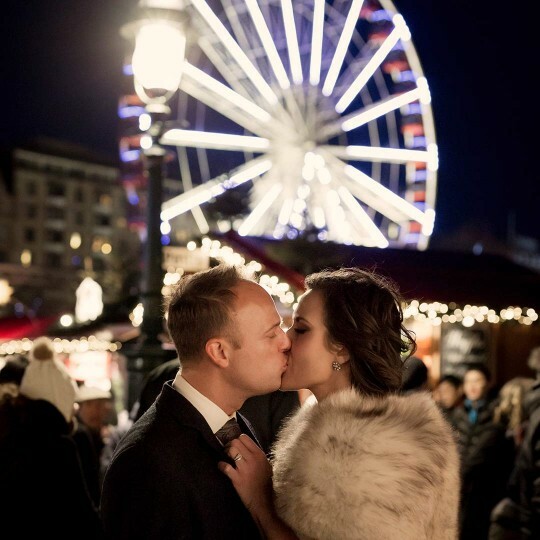 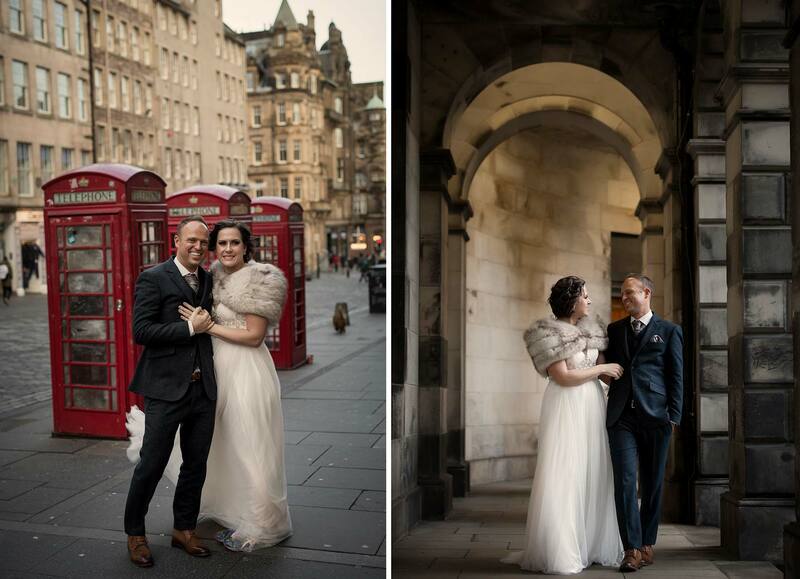 When it comes to wedding photography I’m loving telling elopement stories more every year, but when you add in Christmas, surely Edinburgh is the best elopement destination in Europe. 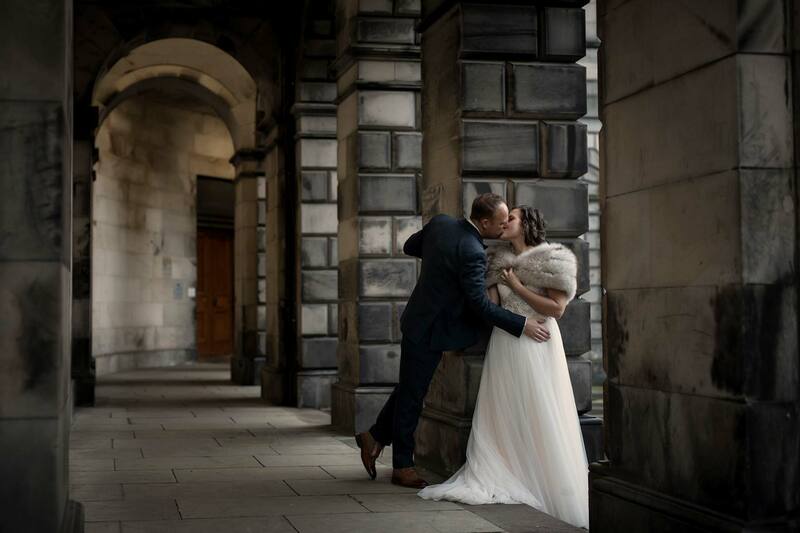 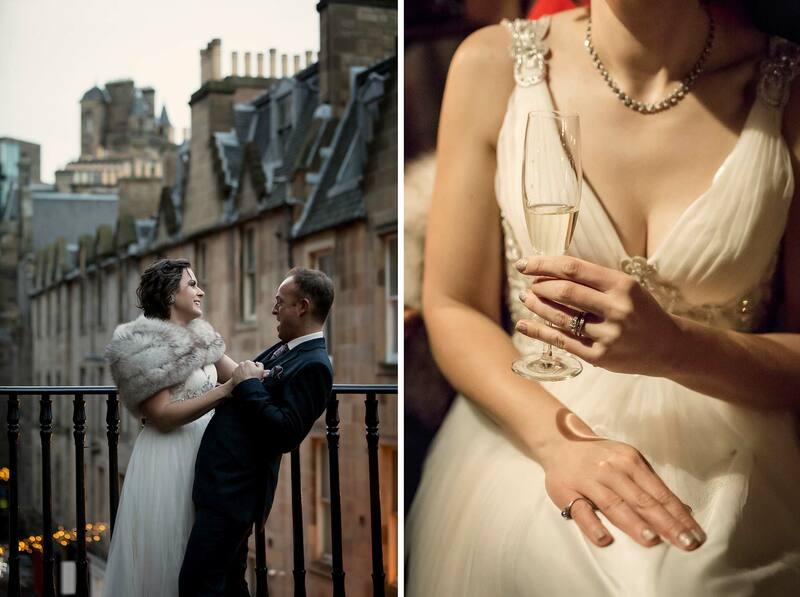 As evidence just scroll through the photographs as our couple eloped from the USA for a Christmas Eve wedding ceremony at beautiful Dalhousie Castle followed by an evening wandering the winding alleyways of Edinburgh’s historic old town before a romantic dinner at The Pompadour overlooking Edinburgh Castle. 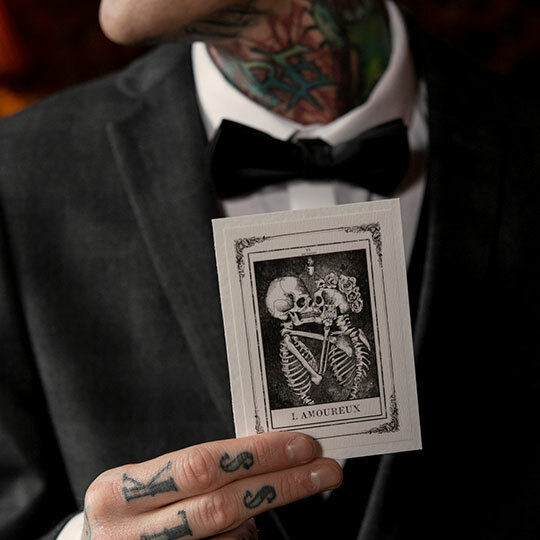 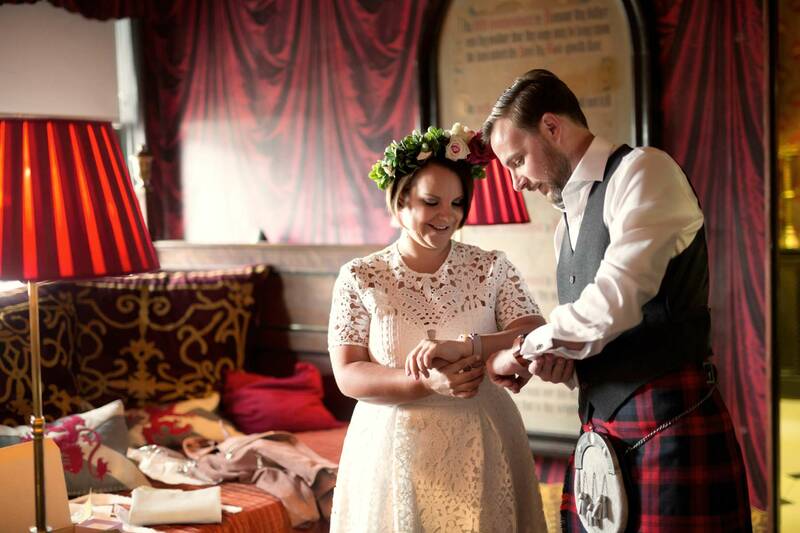 The Humanist wedding ceremony by Edward McGough took place in the private chapel of Dalhousie Castle Hotel on the outskirts of Edinburgh. 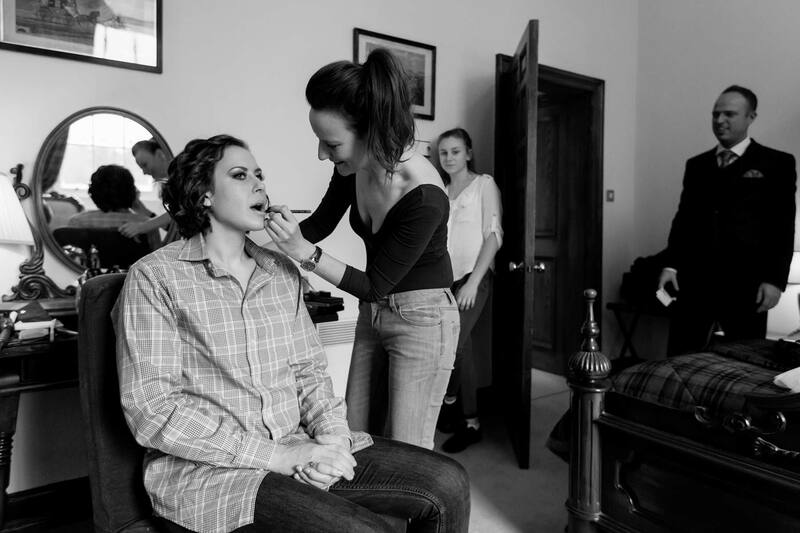 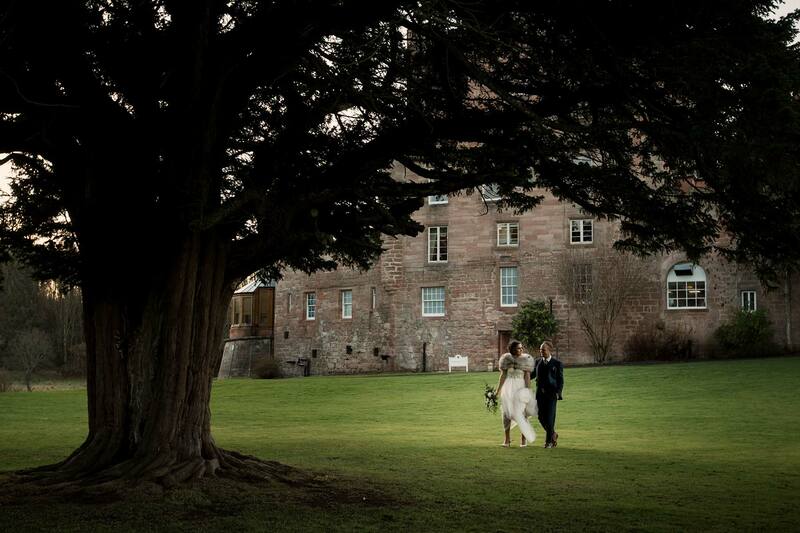 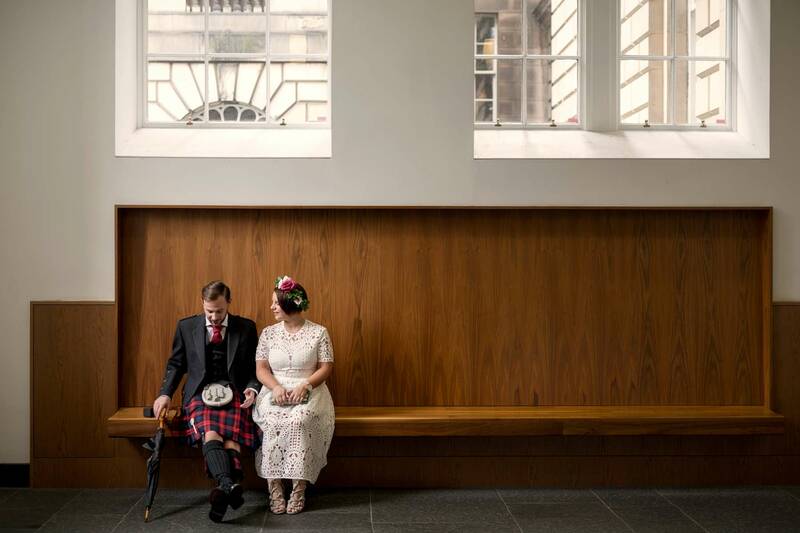 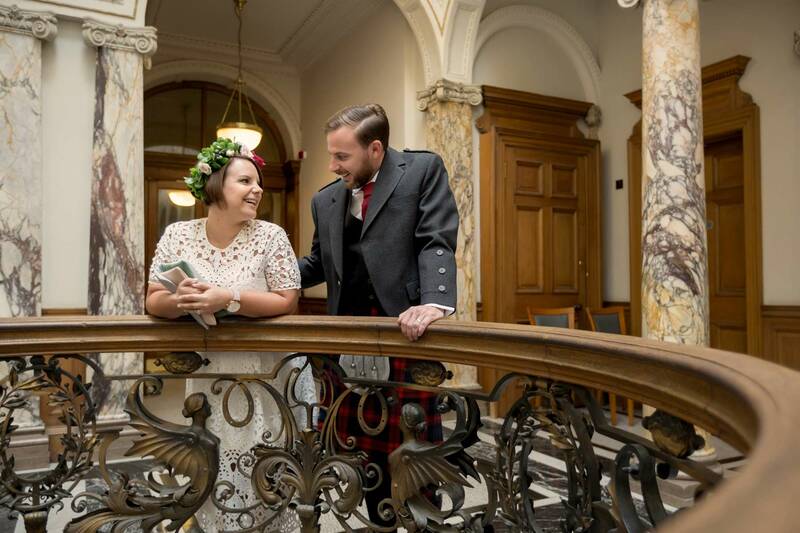 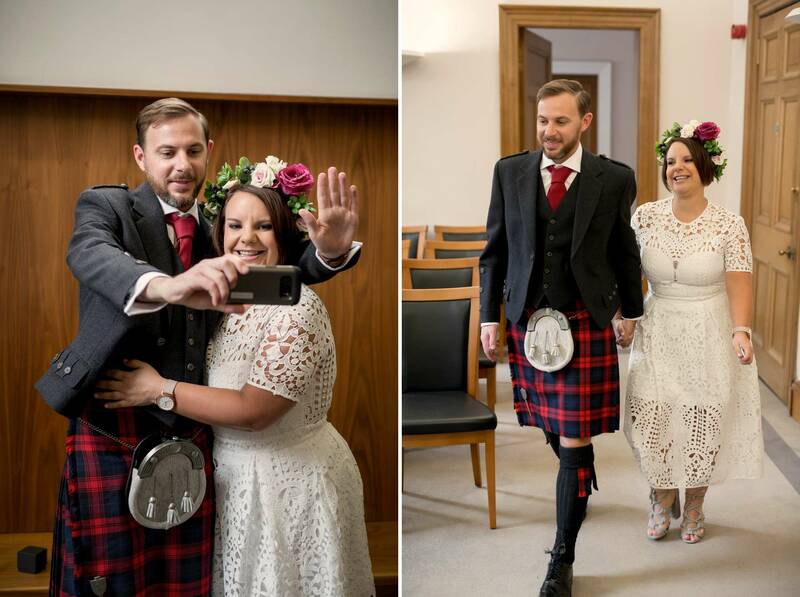 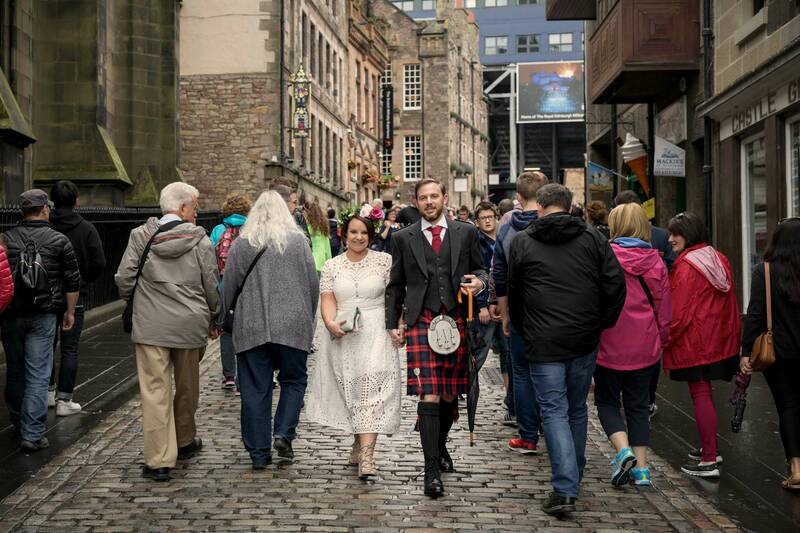 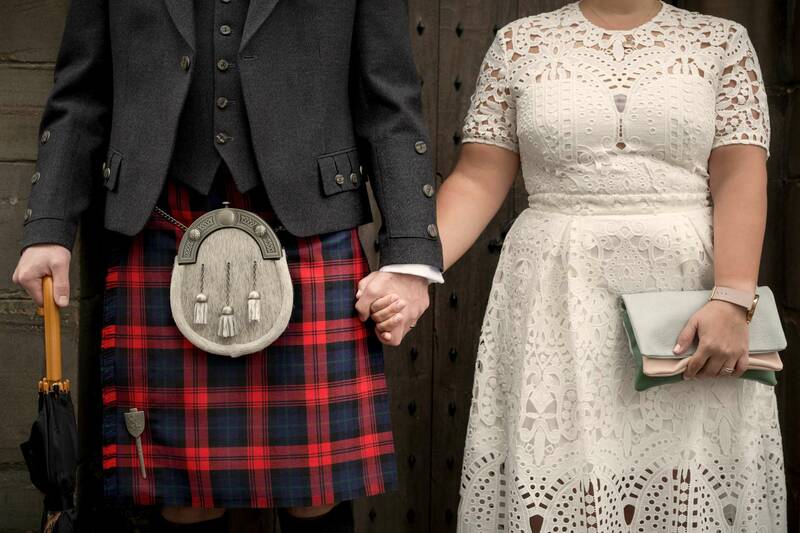 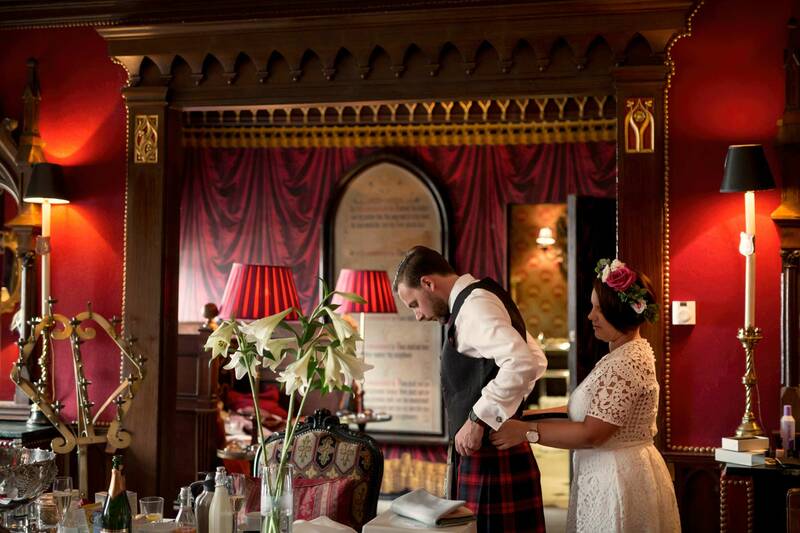 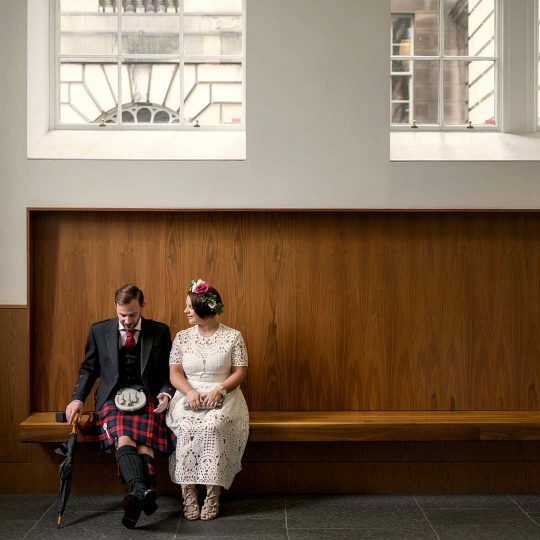 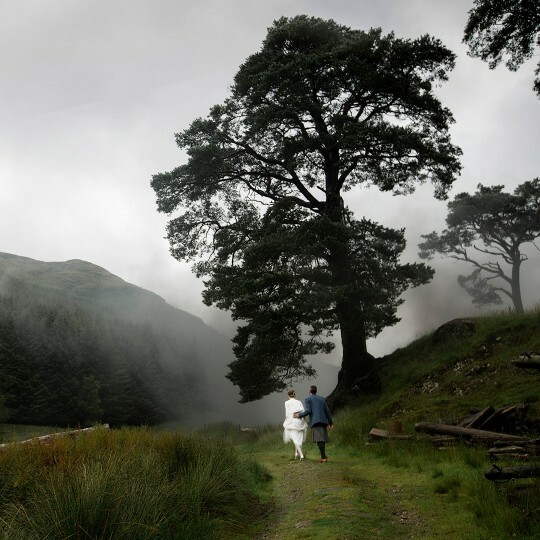 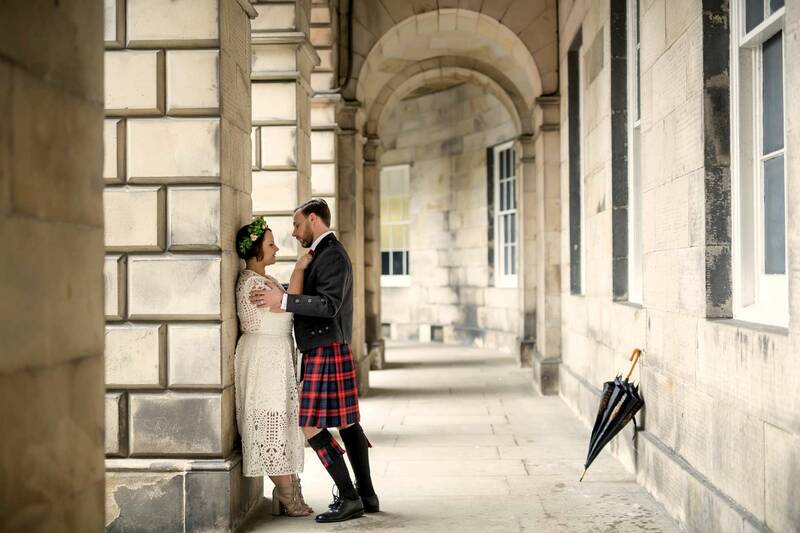 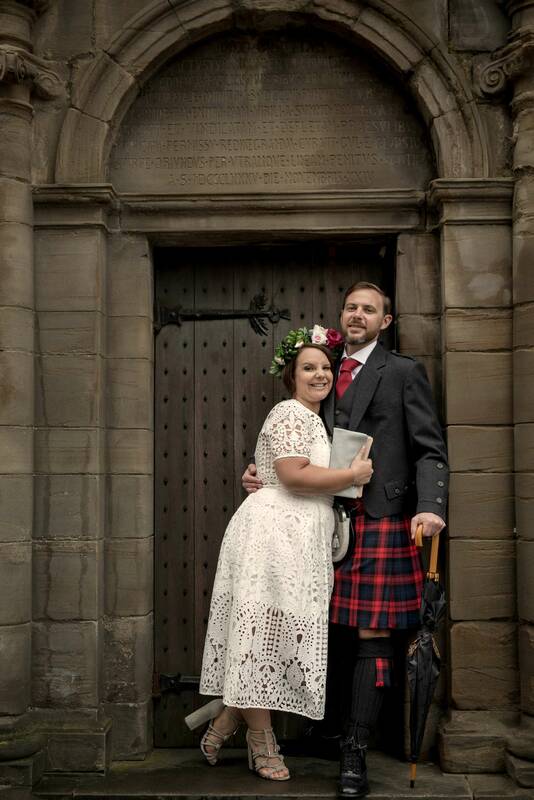 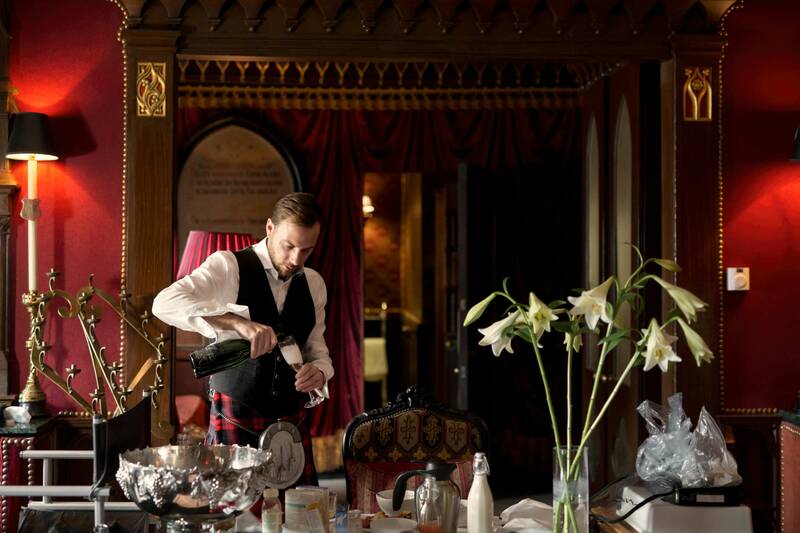 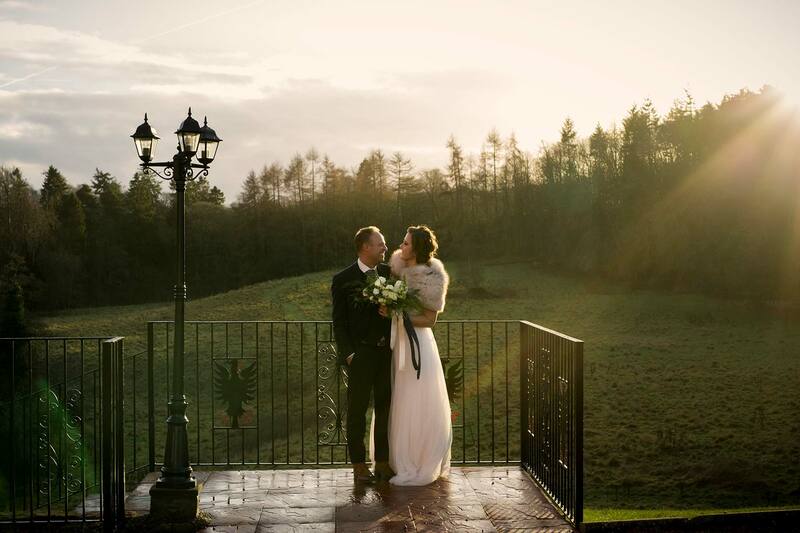 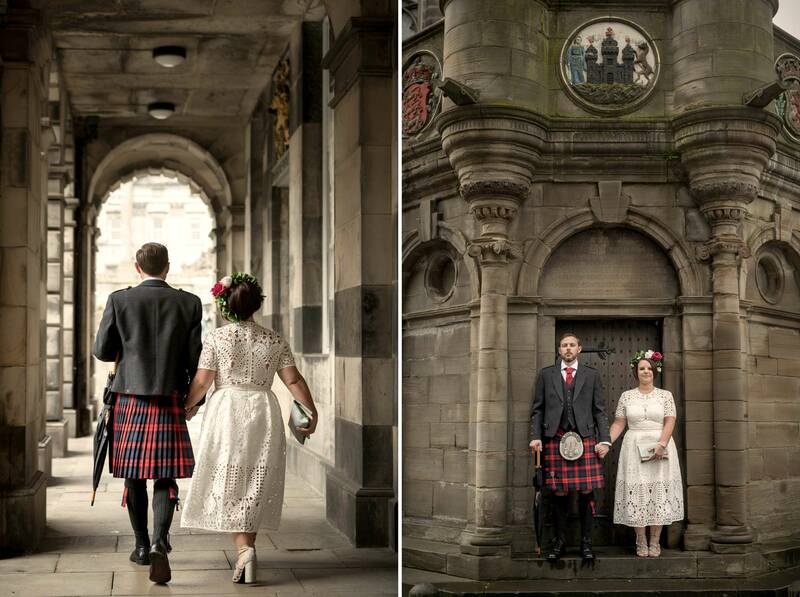 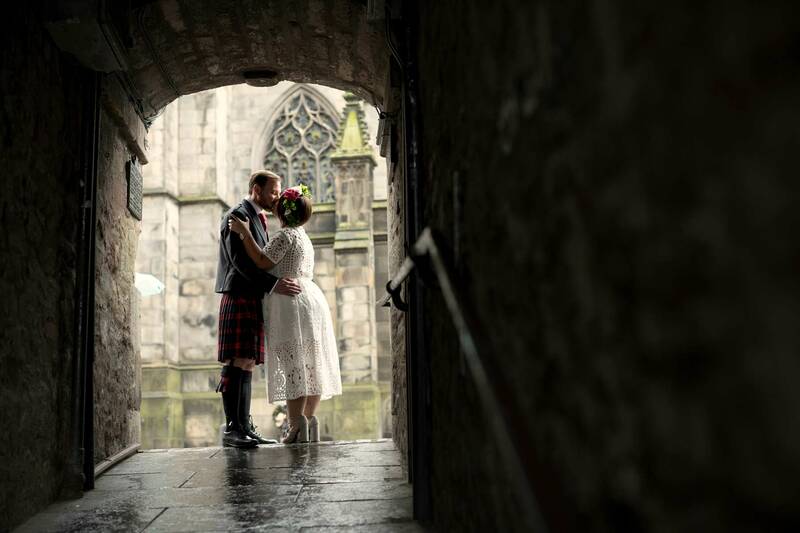 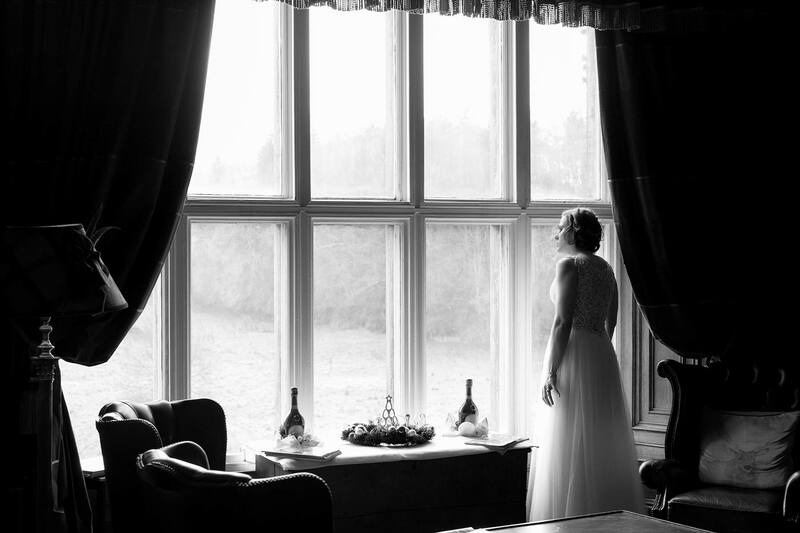 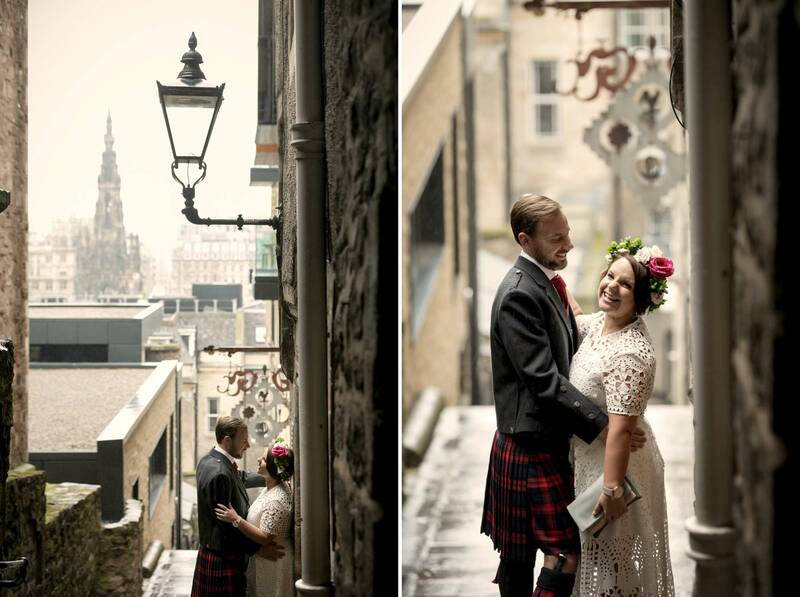 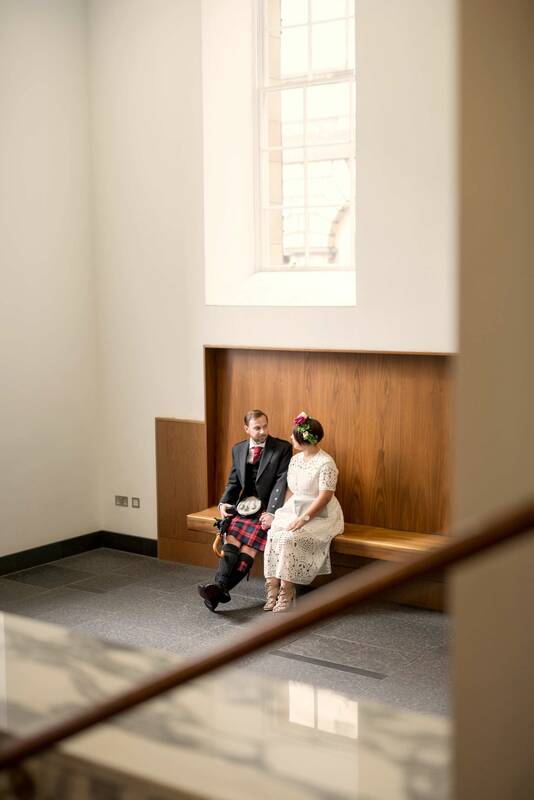 As guests and staff prepared for the Christmas celebrations, a lone piper announced the bride’s arrival for a traditionally Scottish marriage, intimate and romantic as only an elopement can be. 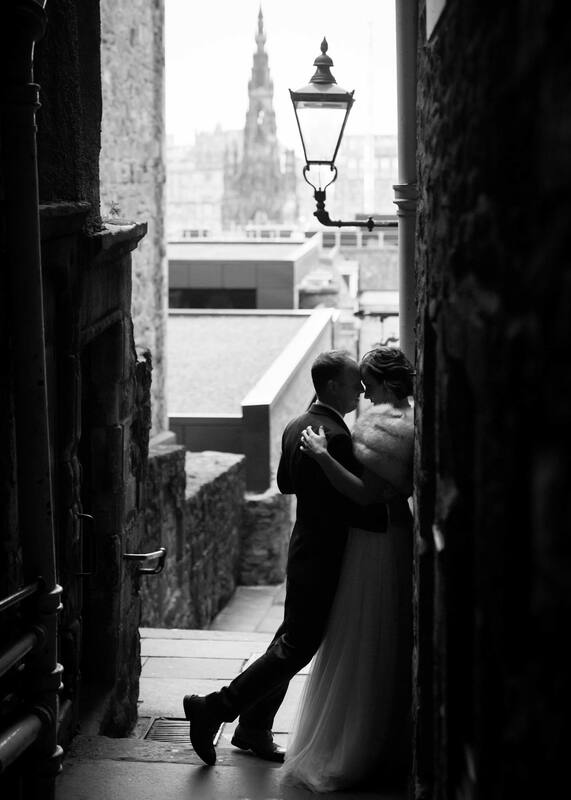 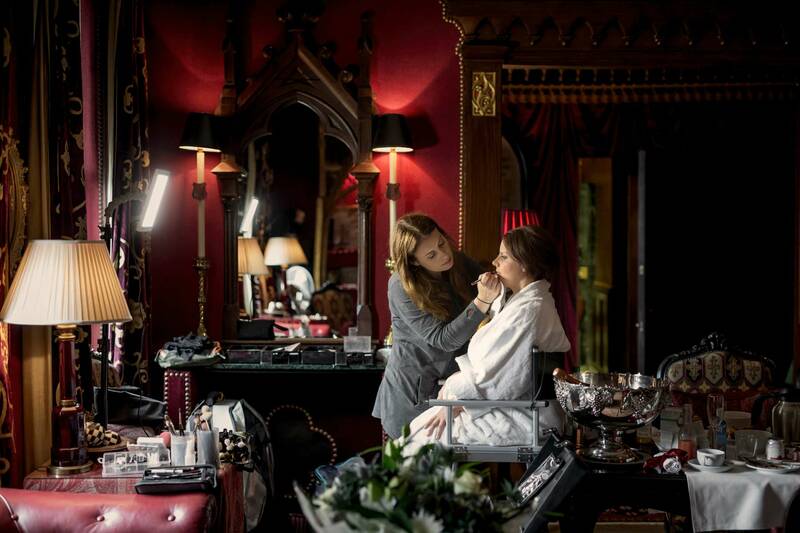 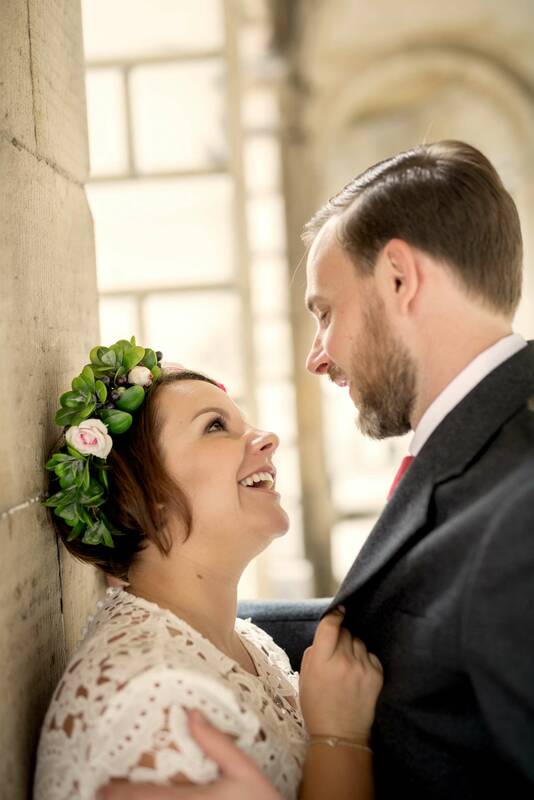 The atmosphere was that of a private tryst as the newlyweds absorbed their union with a relaxing afternoon tea and wander round the castle and grounds, allowing for some photography before we headed for Edinburgh to soak up the Christmas atmosphere in the elopement capital of Europe. 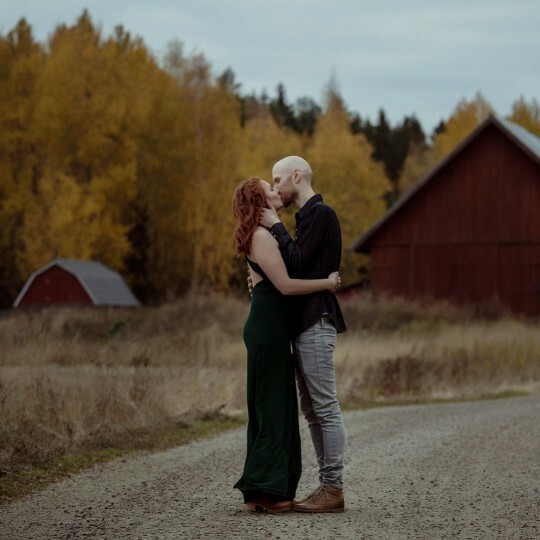 Just because an elopement isn’t as elaborate as a typical wedding doesn’t mean your photography can’t still tell a full and genuine story of the day. 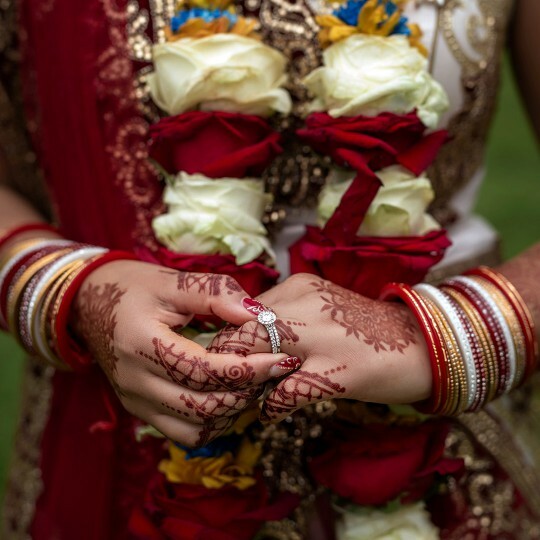 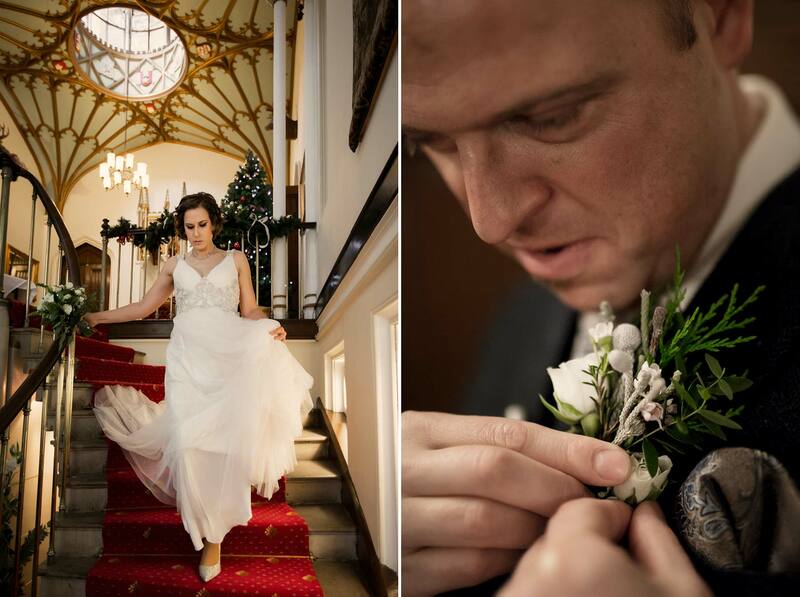 In fact, the wedding photography can be incorporated to be a relaxed and enjoyable focus for all that adrenalin and excitement, keeping the party going. 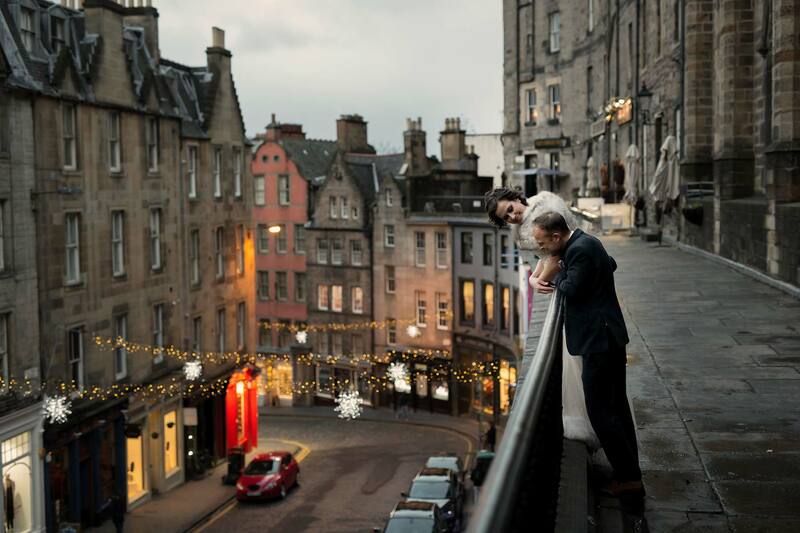 As well as capturing beautiful and artistic photographs, it’s an excuse to visit some of the best locations in Edinburgh. 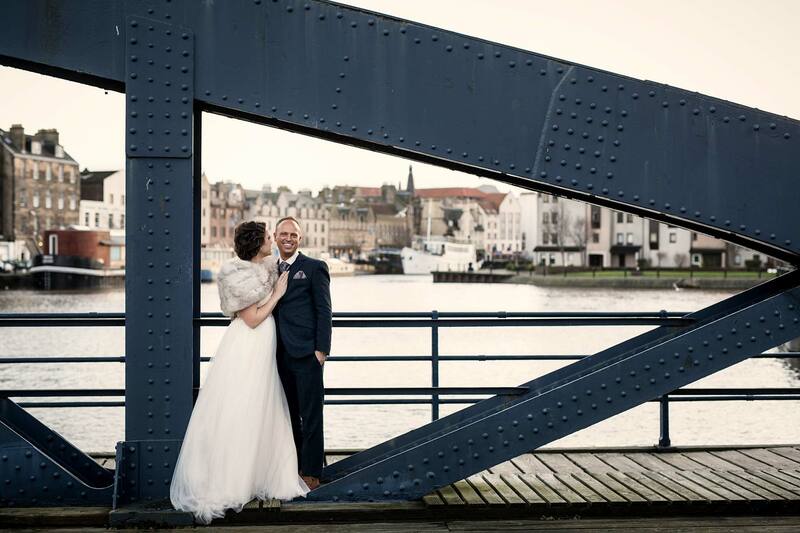 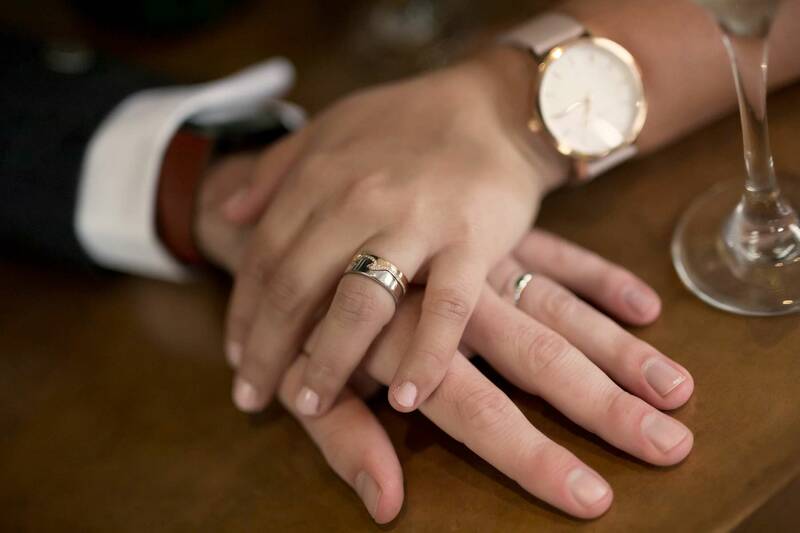 Our plan was to take our time, enjoy the wedding photography at whatever pace felt right, and not be afraid to take the time for a drink, shopping, or sightseeing as we went. 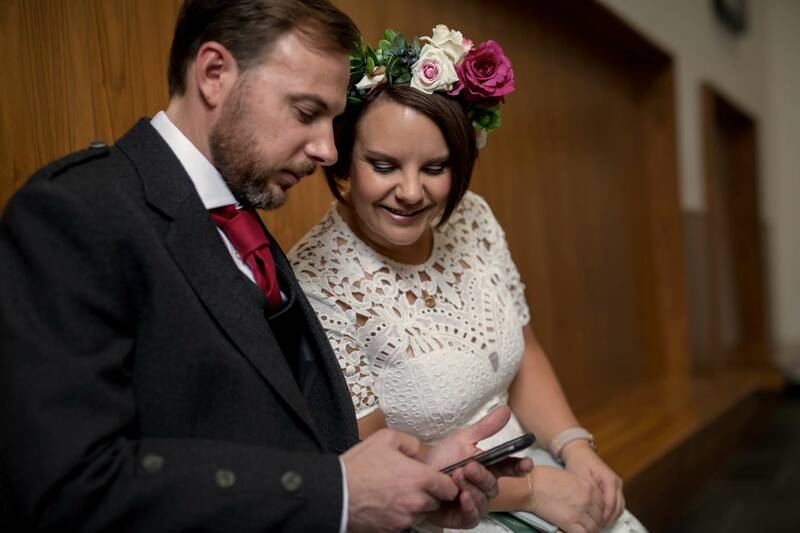 So that’s what we did. 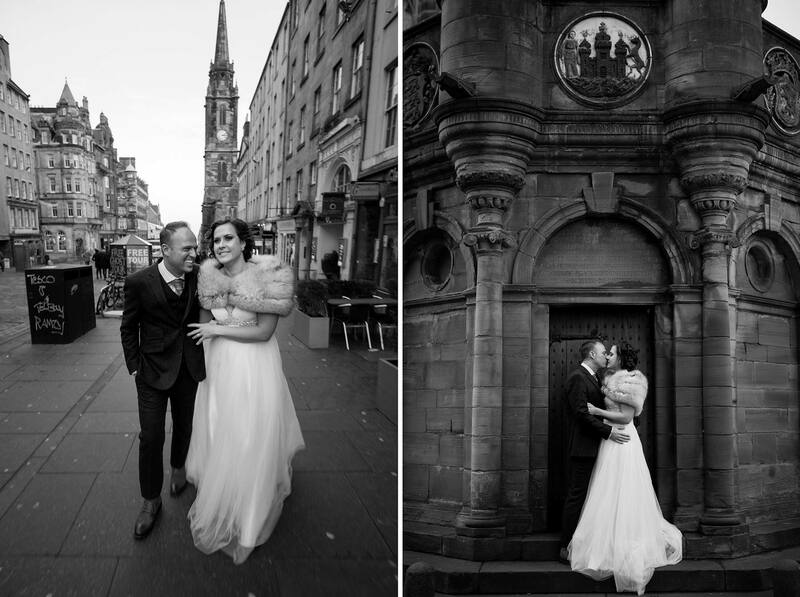 After visiting The Shore in Leith for some tongue in cheek, industrial looking portraits by the docks, we took in some of classic old town Edinburgh around the historic winding alleyways and gothic architecture. 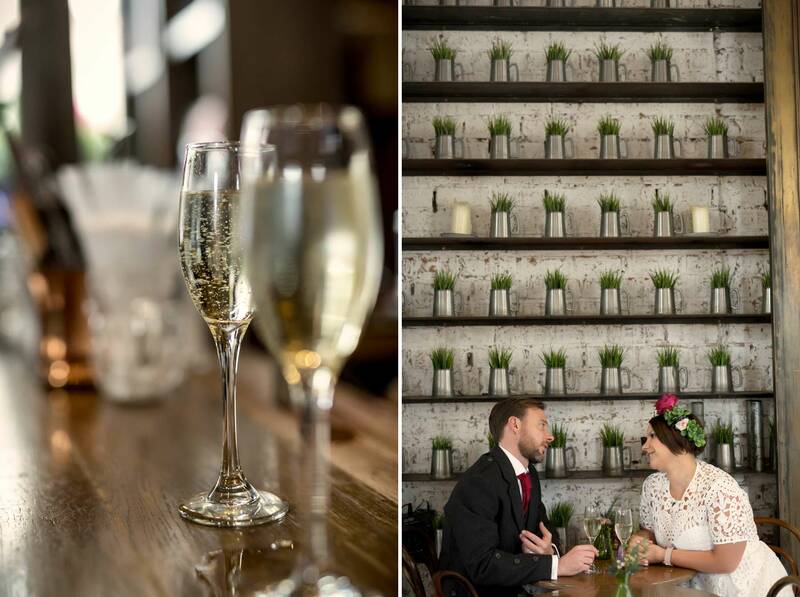 By then, a drink had been earned, and the Thistle Street Bar stepped up by supplying complimentary glasses of Champagne before we had a chance to order. 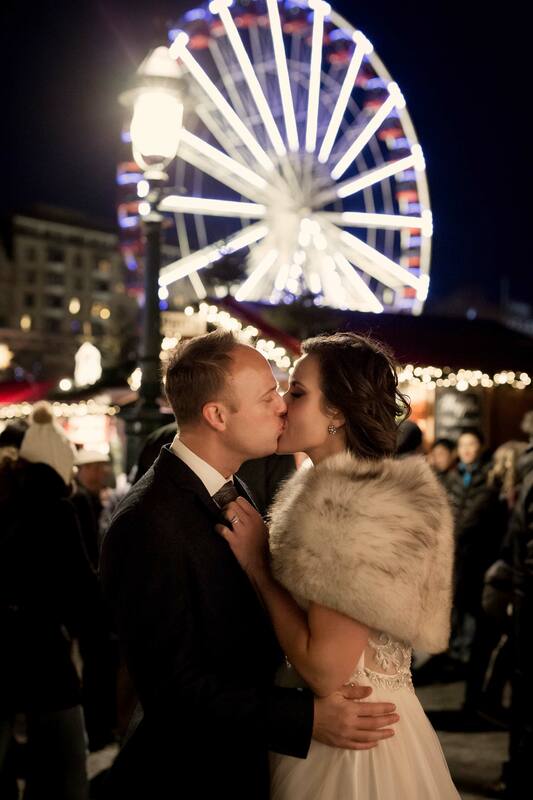 By now darkness had fallen and the warm glow of Christmas lights made Edinburgh’s winter market and fairground look like the most romantic place on earth, with time for a little shopping and carousel ride before I left the happy, devoted and loving couple to their wedding breakfast in a secluded corner of the Caledonian Hotel’s Pompadour restaurant, overlooking Edinburgh Castle. 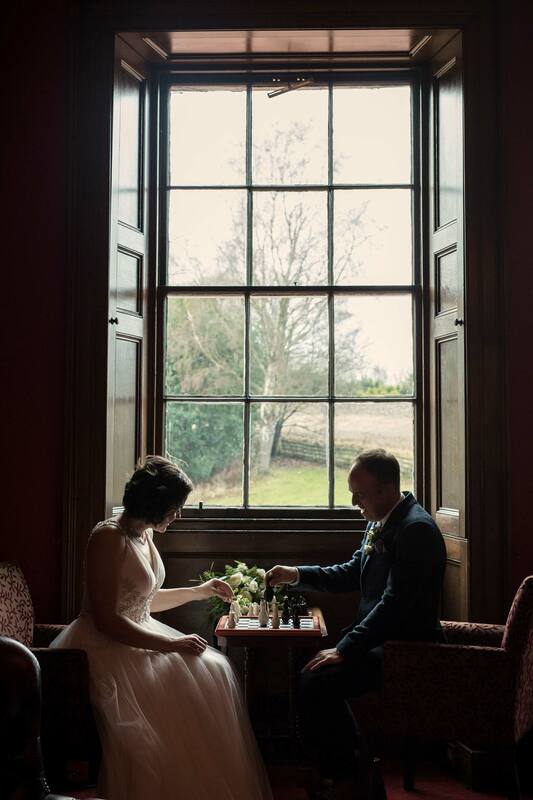 Flowers were by Briar Rose Flowers, cake by Liggy’s Cakes, and video was by Brian Scott Weddings where you can currently see some of the day by looking for Wendy & Jared on the Videos page. 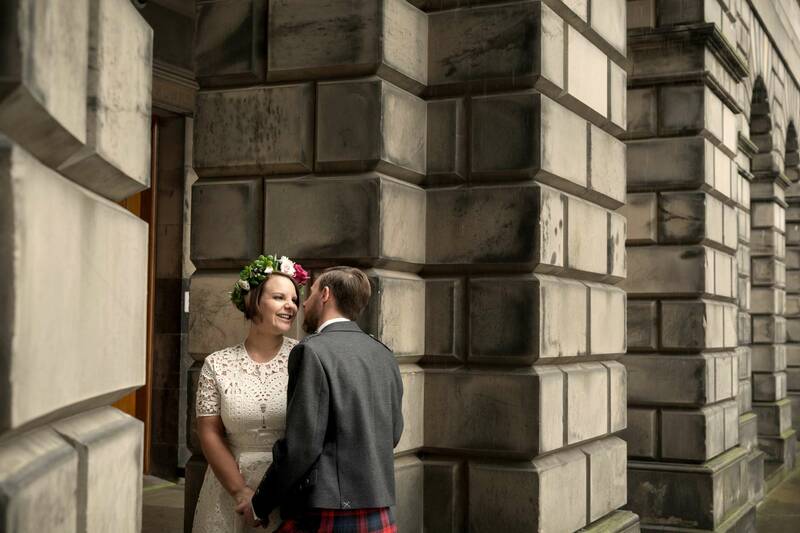 And most important of all, none of this would have been possible without the ever amazing Emma Douglas of Timeless White and her wedding planning skills.